The Steam Distilled pure essential oils of Oudh( Agarwood – a traditional precious fragrant wood resin) and green tea leaves the body scented for hours. Natural essential oils are naturally blended with Aloe Vera juice and Vitamins. 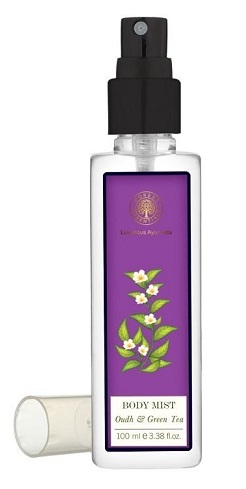 It is a deep , invigorating and balanced fragrance which is cooling, refreshing & hydrating.